If you happen to be an active investor, you would be aware of the mutual fund industry that has been growing exponentially. Investing your money in mutual funds is one of the quickest ways to grow wealth. Since all the mutual funds are registered with SEBI (Securities Exchange Board of India), they are quite safe. A mutual fund is created by collecting capital from different investors and invested in the company’s shares, stocks, and bonds. Shared by thousands of investors, it is managed collectively to give the highest possible returns. When you buy a mutual fund you are indirectly choosing a professional money manager. This manager will further use that money to buy and sell stocks that he or she has researched carefully. So, you don’t need to research on your own and will be handled by the mutual fund’s money manager. 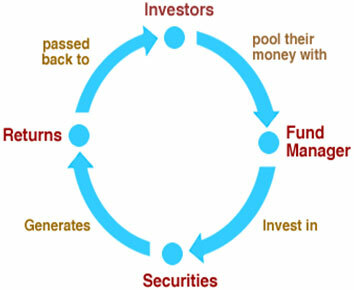 Many investors do not possess the exact sums of money to buy round lots of securities. Investors are able to purchase mutual funds in small denominations so you can start right away with mutual funds. Another advantage of Mutual Funds is liquidity which means you can get in and out with relative ease. Investors will be able to see their Mutual Funds in a short period of time without much difference in sale price and current market value. Mutual fund plans can be broadly classified into two categories: regular plan and direct plan. In terms of investment, there is no difference between the plans. Both the plans represent the same scheme, invest in the same stocks and bonds and run by the same fund manager. What makes direct funds better is that direct plans are sold directly by the asset management company (AMC) or selected platforms while the regular plans are sold through distributors and involve commissions. Hence, direct plans give higher returns than regular plans. In this article, we will be describing and analyzing the 8 best mutual funds and platforms in India. Previously named as Smartspends 2.0 app and now it is officially renamed as ETMoney. The apps investment section lists out various Mutual Funds and you can look at the performance of each fund while navigating. After getting a hang of it and deciding to invest in a specific fund, you can do all the KYC Verification with ease. The complete paperless solution guides you through the investment process seamlessly. After investing, the entire portfolio can be managed and manually add your investments that you did by other means. There is a Smart-Deposit feature through which you can invest in a liquid fund. This is one of the easy to use mutual fund apps. The company recently crossed ₹2,000 crores of transaction on mutual funds investments. There is more than ₹150 crore of new investment transaction value every month from investors spread across 1,200 cities. Groww is an online platform that offers direct mutual fund plans. The company provides funds from 37 AMCs and provide a detailed evaluation and data pints with comparative charts. They even have financial groups on various topics to discuss and spread knowledge. 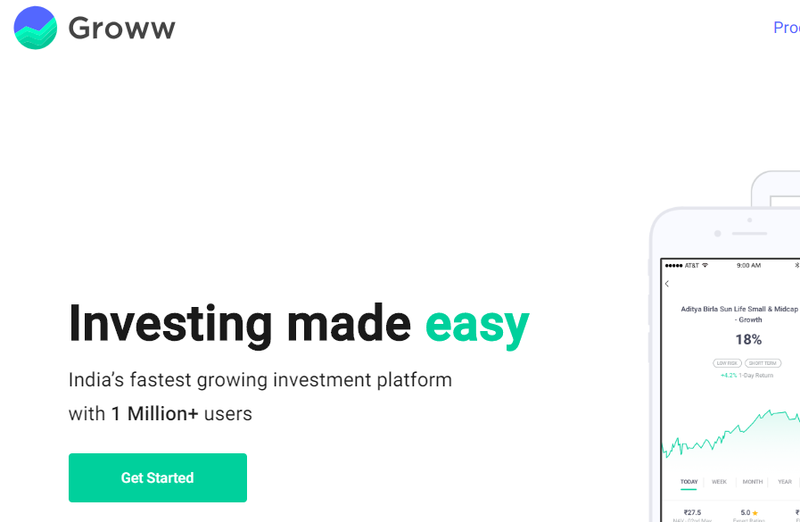 Groww makes investing simple and with an excellent customer success team and numerous features. There is a feature called Xperts, in which various financial advisors share and give the customers various financial insights. The Switch feature lets you track all the external and internal mutual funds from one place. The only disadvantage is that it doesn’t come with a SIP calculator, so investors are not able to know how much they should invest. The service is available on desktop/laptop as a web application and even has an iOS and Android app. 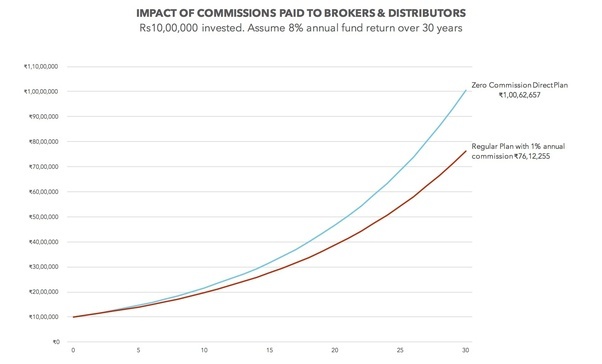 Zerodha Coin is a platform where you can buy mutual funds online directly from asset management companies with no commission passback. They have a product named Coin for mutual fund investment with yearly maintenance of ₹300. However, the strength lies in its simplicity. Anyone can find the mutual fund scheme and review its performance and buy a lump sum or set up SIP. Investors can view the investment in the mobile app as well. There are more than 1 lakh customers who have invested more than 2000 crores via Coin. However, the service doesn’t provide any advisory service and no SIP calculator. Paytm Money is one of the latest entries into the world of direct mutual fund platforms. The service is feature rich and customer-centric. They have joined hands with Valueresearch.com and Morningstar.com, which are the market leaders in the mutual fund industry. The KYC setup is completely digital and can start investing with the app instantly. Like other direct mutual fund platforms, it also offers direct mutual funds with zero fees. However, the investment advisory part sets it apart from other existing platforms. It helps the investors to choose the best and more suitable plans for their needs. You can start investing for as low as ₹100 and is perfect for the beginners who want to try their hands on the platform before trusting the company. This is also profitable for the investors who want to test the suggestions who want to invest a big amount later on. Kuvera is the free online portal for the investors of direct mutual fund plans. The platform is truly free with no hidden charges, no trial period or bundled offer and regardless of the portfolio size. Not only has that it also provided free financial advice. Kuvera provides funds from 37 AMCs and doesn’t charge anything on the purchase of the direct mutual funds. The platforms key feature is goal-based investments. It will set the right path for your goal. Kuvera also helps in identifying the associated risk with each type of funds. Other features include fund selection, goal planning, portfolio rebalancing, tax optimization and more. Kuvera offers a one-click switch from the regular mutual fund plans to the direct mutual plans. The system allows you to import existing plans easily. Furthermore, you can sign up and add your family member’s details to have a single account for all your family members. Piggy is one of the top-rated apps on the Amazon store as well as on the iOS store. The mobile app allows you to invest in direct plans of mutual fund investment schemes in India. The sign-up is fast and paperless. After signing in, you will be able to invest according to your goals. The platform comes with the latest security measure and encrypts the data and transactions with a 4-digit personal pin for quick login. It shows the important details and data in a graphical form for a better understanding. There is a different section for the latest news, opinions and educational articles. 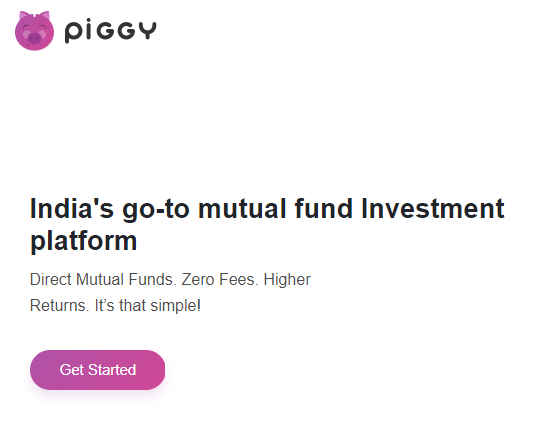 The Piggy app has real-time details for over 600 mutual fund schemes from 25 mutual fund houses in India. CAMS and Karvy are the registered transfer agents for mutual fund houses and have been present in the industry for 30+ years. The platforms are free of cost but some mutual funds are registered with CAMS while some with Karvy. You can go to their respective sites and create an account. After that, you can select the scheme you want to invest in and transfer the funds online. All the mutual fund companies have their own websites through which you can invest in the products offered by them. You just have to go their website to create an account and select the fund in which you want to invest in. 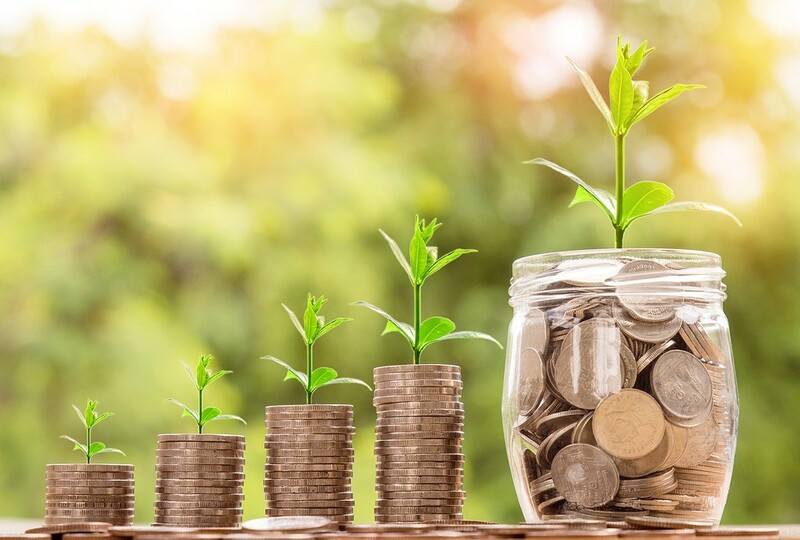 The pros of them are that you have to simply transfer the amount you want to invest without any extra charges along with getting accurate details for each fund. The cons of them are that you have to create an account with each mutual fund house. Thus we have the final list of the 8 best mutual funds and platforms in India. Choose them according to your investment style and amount of money. It is better to go for a platform offering an advisory scheme if you are a beginner and just started your hands on Mutual Funds. Previous articleWondershare Video Converter Free Review: The Best Video Converter of 2019? Next articleVeePN Review: Key App for Your Internet Security?